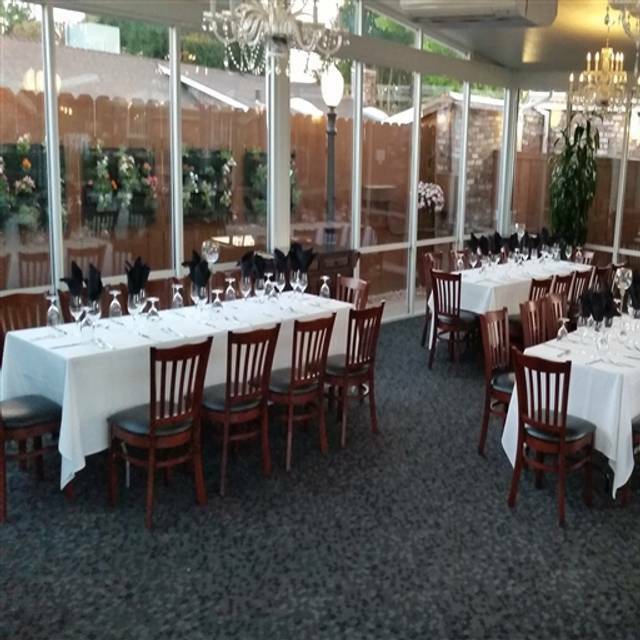 You must make reservations at least 5 minutes in advance of the time at Cordeiros Steakhouse. Private on site parking lot with 40 parking spots capacity. 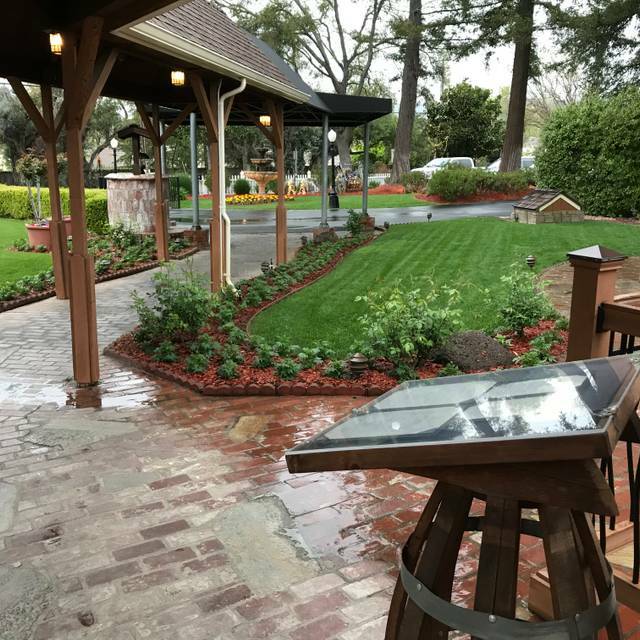 Situated at the base of the East Hills of the Napa Valley, Cordeiro’s Steakhouse brings modern sophistication and old world elegance. Blending a classic steakhouse menu with a fresh farm to table approach, Our chef Marcos Uribe insists on using only the freshest and highest quality of ingredients. From certified Angus beef, aged 14 days, to sustainable seafood, Snake River Pork Chop and Akaushi Beef. guests will immediately notice the care that goes into each and every dish. The Mesquite grill and brick oven adds versatility to the extensive menu, which consists of Oysters Rockefeller, Duck Confit Flatbread, table side Caesar Salad, Beefsteak Tomato Salad, to name a few. 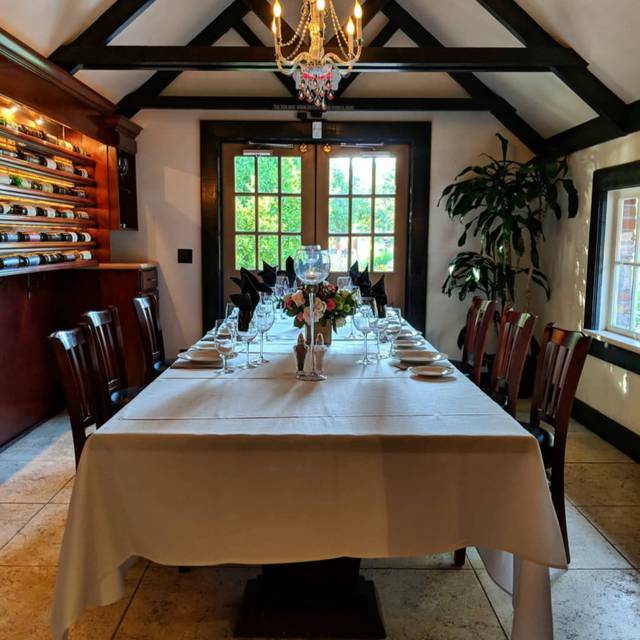 The restaurant boasts luxurious décor, private dining rooms, full bar, outdoor lounge areas, giving guests a well – rounded experience in Wine Country. 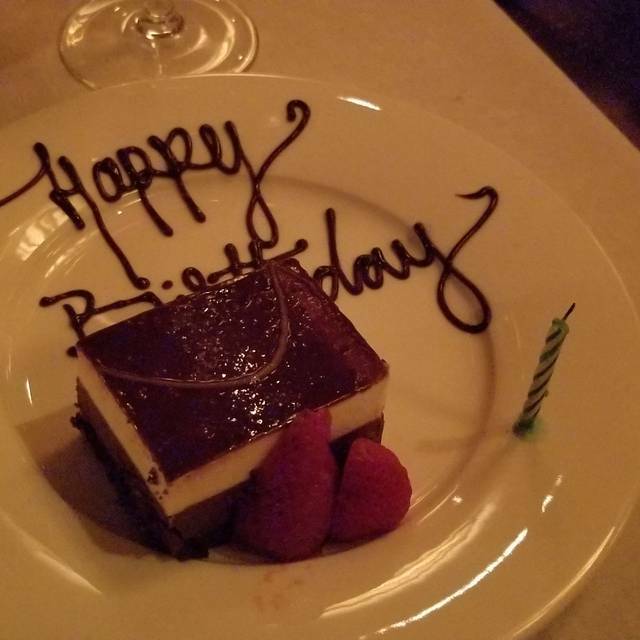 Exceptional service and they made my friend's birthday special. Brought our own bottle of nice wine for a $20 corkage fee. The little extras made the meal. I would definitely recommend this for a special occasion. 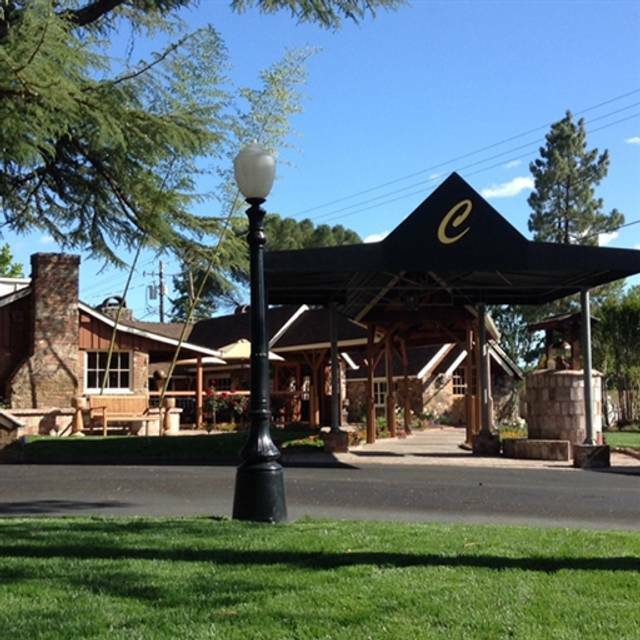 Best steakhouse in Napa County! I would recommend this restaurant to anyone visiting the Napa Valley. Our dinner was fabulous and our waiter Jessie was amazing!! This was for my sister's birthday. Everything was fabulous! Service was attentive, food delicious, table in a quiet area; nicely spaced from other tables. The grounds were lovely with ample parking. A wonderful experience over all!! This was a wonderful place! Atmosphere romantic and quaint. Food and service excellent. After dinner fruit fondue and chocolates were a bonus. That they just include. This was my birthday and they also brought me out a piece of chocolate cake. The entire experience was amazing. We were seated a little early, as we arrived 15 minutes early. We were greeted by our server and helper. When I asked for suggestions, my server was insightful. Everything was prompt and delicious. We were celebrating our anniversary and all wished us a happy anniversary throughout the night. We will go back for any occasion or just because. This was our second visit to Cordeiros. We had an incredible experience both times. I highly recommend the Rack of Lamb! The aged rib eye can't be beat! Although I order it every time I come here so I can't really compare to their other offerings. The staff is all very friendly. The setting is nice. I will be bringing my girlfriend with me next time. She was upset she was able to make the last trip after seeing the pictures of the food! Nice location. Very good service! Good food. A menu in Comic Sans font at this level of restaurant in 2019? Sub par wine menu for a heart of Napa steakhouse. 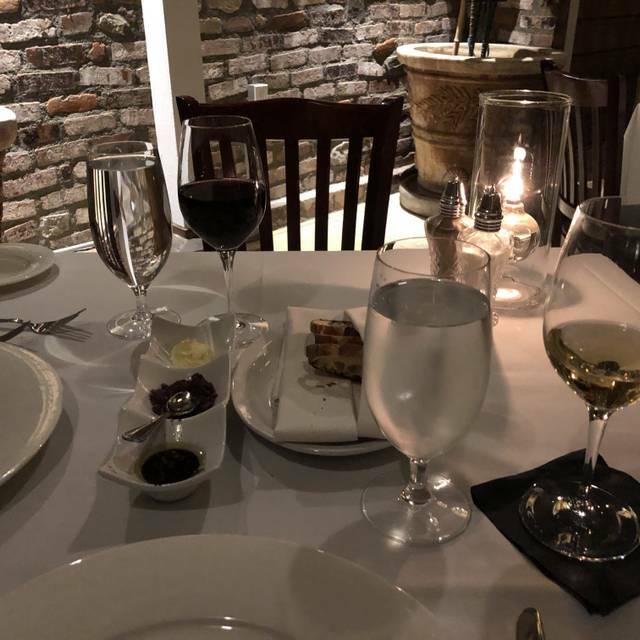 Limited choices that weren’t that well planned out or displayed on the menu with very steep prices per bottle comparatively to other peer restaurants throughout Napa/Sonoma. We had to settle on an overpriced, grocery store red because the prices on the ‘better’ wines were not appropriate. BTG was dismal. The main course steaks were delicious & all of the extras from Fondue to Cordial to Truffle were nice, but we’d rather choose our after dinner options ourselves and pay the appropriate prices for everything else. The entree prices were pretty steep comparatively but as we said, the steaks were cooked perfectly and they were delicious. Things will need to change before we would consider returning or recommending. It was an amazing experience. From beginning to end. We were all very happy with our food choices. We loved the complimentary dessert and drinks. 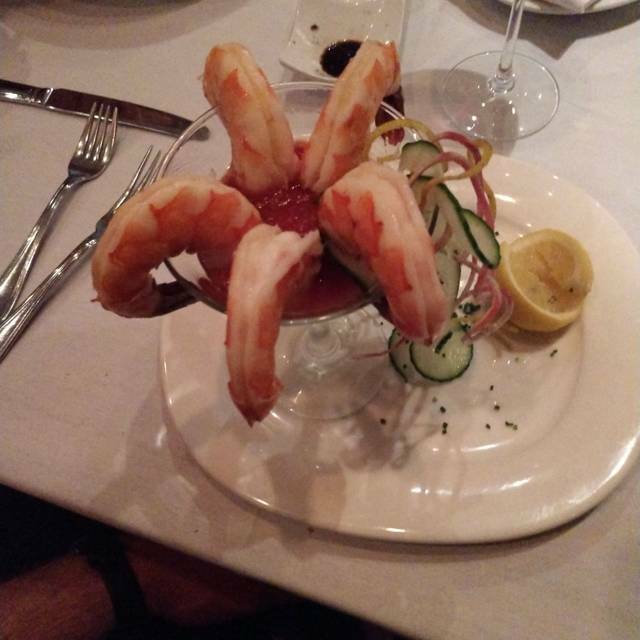 Every aspect of our experience was terrific——service, food and ambience. It is rare to have all three come together so perfectly but Cordeiros managed to do so. I also want to add that everyone around us seemed to have the same impression. The Service was wonderful from the first moment we checked-in. The staff was professional, courteous and well versed on the menu, food, specials, wines and cocktails. I highly recommend this delicious restaurant. Ask for Sammy the Waiter!!! AMAZING ALL THE WAY THROUGH. From the food to the service, first class. They had a special that was a bone-in Filet Mignon. I literally cut it with a butter knife to see if I could, and I did. The Caesar Salad to die for, just wish I had more. Bigger size pleaseeeeeeeee. And after dinner you get a free cordial, chocolate fondue, and a dark chocolate (made by Vintage Sweet Shoppe) and wine (made by them) truffle. All Delicious!!! Excellent in every way, thank you for an evening I won't soon forget! A very polished operation with a well trained, friendly service staff, well versed in etiquette. The food was perfect and the ambience just right. I highly recommend this exceptional establishment for a romantic night out or a gathering with friends who enjoy the classic steakhouse experience. Cordeiros Steakhouse was fantastic. Great food, service, ambiance! Highly recommended. Amazing experience. The mesquite grill gives the steaks such a wonderful flavor. Also, a great value because all the steaks come with sides and you get a complimentary free dessert and dessert drink afterwards. Not to mention the complimentary truffle chocolate that my wife was raving about on our drive back. Shaun our waiter was excellent and I just had a great Birthday dinner. Best steakhouse in the area include San Francisco. I will come again on my next trip to Napa! I like this restaurant very much, but I find that your experience varies consistent with who you server is. All are competent but some are warmer and more pleasant than others. Men I was with loved their steaks; I don't eat meat so I had the Cesar, very good, and the lobster cakes, meh. Great bartender and excellent wine list, love the Del Dotto and the vodka martini. Classic old-world steakhouse with 2019 prices, but you get what you pay for! Worthy of a special occasion or celebration. The table-side preparation of the Caesar salad is not to be missed! Always a treat to go here. Wait staff very professional and polite. Our fish was a bit over-cooked but very tasty. Dessert fondu always wonderful. Very cozy place, the food is wonderful and the service extraordinary. Best steak we have had in years, tender, savory and cooked to perfection. The service was wonderful and our waitress Angela was not only very accommodating but special with us, great person. The service is full of details and perks, like the bread, the fruit fondue, the chocolates and the digestive. All as compliments of the house. Steak was burnt on the outside and raw on the inside. My wife had the filet mignon and enjoyed it, but I had the ribeye and it was not that good. I've had better at lower end restaurants. The oysters rockefeller were okay. The bread was not warm / not worth the carbs. The asparagus was good. They serve a nice martini. We ordered a cabernet, asked for big and bold. It was just okay. Also, they serve all their steaks with a sauce... if your meat is really nicely prepared, it wouldn't need a sauce. Add to that, the sauces (we got pepper corn and the house made steak sauce) were not good at all. Underwhelmed with this experience. Sorry to say it but the standards in Napa seem to have lowered. Great food, drinks, service and everything else you’d want in a dining experience. The Oyster Rockefeller, poke salad, lobster cakes, mussels and swordfish were fantastic. As my star rating suggests everything was exceptional. A traditional steakhouse with so much more to offer than what one might expect. There are a few surprises that will delight any diner, and as such, I don’t want to spoil these, you wil have to trust me. The service couldn’t be more on point, they are young, energetic, and so very willing to please. 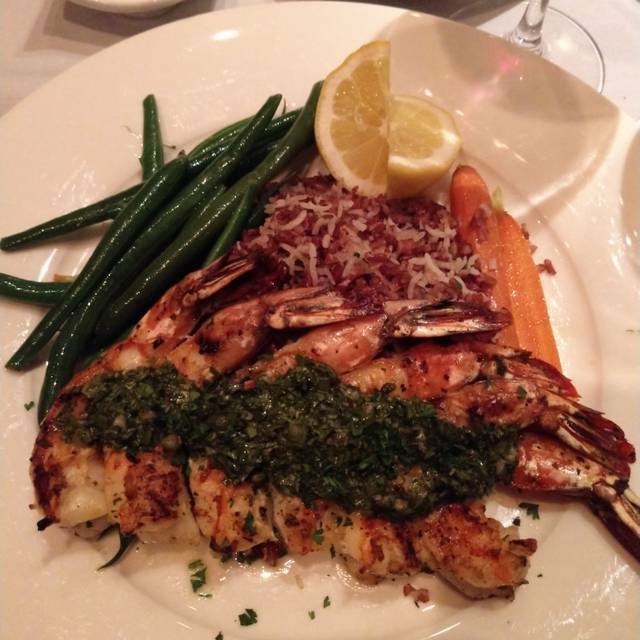 We like to share bites, so having ordered the filet and perfectly grilled prawns, I can say my dish was perfect! However I did taste the New York and that was amazing as well. Cordero’s is special treat in Napa, an ‘old’ school steakhouse’ without the old attitude. They have a great wine list. We started with the loaded potato skins, yummy. For the entree I had the sea bass special for the night, my companions had steak and lobster tail. The presentation of the meals were great and my sea bass was tasty. We really enjoyed the chocolate and after dinner drink. The service was excellent. The staff made us feel like family. Will definitely go back again. We shared the Caesar salad, then each had the veal chop special. It was amazingly flavorful and served with excellent risotto and kale. If this was on the menu I would go more often! Loved the fondue and after dinner drinks as well. Best ceaser salad and steak I’ve ever had. Awesome service and really enjoyed dinning here. Will be back next time in Napa. 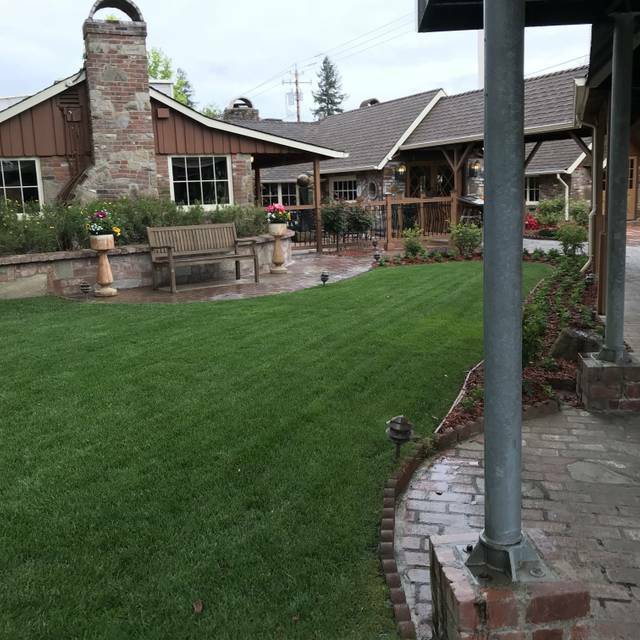 We went to Cordieros to celebrate our anniversary, and the staff went over and above to give us a fantastic experience. Food was delicious, the ambiance very nice. We weren't rushed through the meal, which we appreciated. We'd gladly go back. Our party had a wonderful time, The food, service and setting were all top notch. Wonderful little spot! Off the beaten path and delicious. Such amazing service! Truly the meal was amazing! This spot is perfect for locals and visitors alike! Service is amazing! Truly is the best place in Napa! Love the food, service, atmosphere and all the little “extras” that they give you. The food was good but far from exceptional for the price. Service was very good. Lots of parking. Good ambience and some very nice touches ie they brought complimentary chocolate and a small cocktail at the end of the meal. This added value and helped justify the expense. Overall, I am not sure I will be back but can wholeheartedly recommend you try it for yourselves as it is worth at least one visit. Amazing dinner, wonderful time, exactly what I was hoping for! Every bite was amazing. Great old school steakhouse. Food was outstanding. Love the comp dessert and after dinner drink. Had some oysters Rockefeller and the chicken Marsala. Both very good. Attentive service. Loved the fondue and after dinner drink.